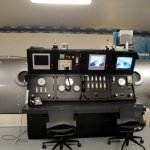 For sale is a Tekna 7200 model Multiplace Hyperbaric Chamber. 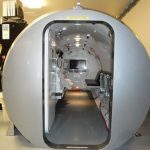 This chamber has a large 72″ internal diameter, and has a spacious main lock as well as an entry lock and a medical service lock. 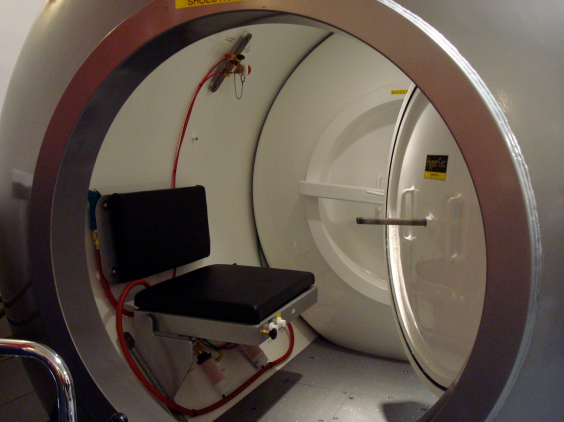 The chamber is fit with a rectangular door for easy wheelchair access. Specs: 72″ Internal Diameter, 6 ATA, Seating for 9+1 in ML, 2 in EL. 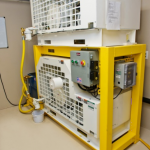 Features: new oil-less, medical grade air compressor system, a fire suppression system, and a state of the art control console. 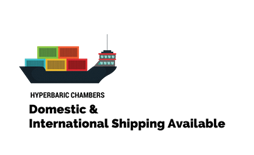 Pricing: Call us for special pricing. The main lock of this chamber has seating for nine patients and one attendant. 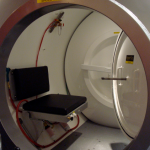 It has a 72″ internal diameter providing enough space for both patients and attendant to sit and move around comfortably. The main lock is fit with a medical service lock for easy access to medications and other medical needs during treatment. It is also fit with a built in breathing system (BIBS) for each patient. For interior lighting, an LED fiber optics lighting system lines the inside of the chamber. For entertainment, there is an encapsulated television inside of the main lock. There are color video cameras for view of patients from the control console as well as communication systems. The main lock of the chamber is also fit with 3 12″ viewports for safety and to help promote a comfortable feel. A large rectangular door is built into the back of the main lock providing easy access for wheelchair bound patients. This rectangular door is fit with a 4″ viewport. 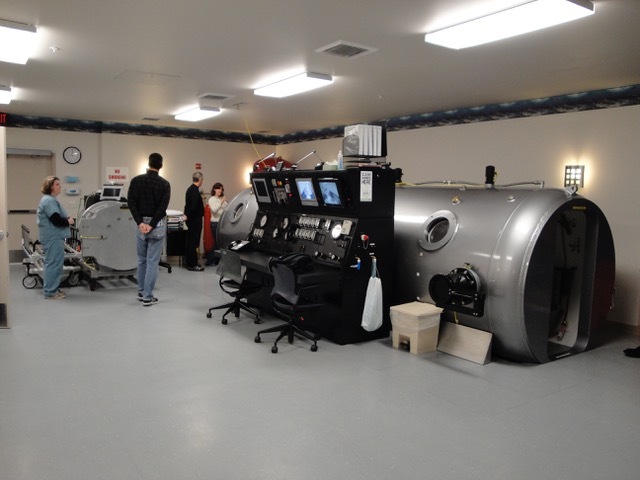 An entry lock on a hyperbaric chamber is extremely beneficial as it allows for patients and personnel to move into and out of the chamber without depressurization of the main cabin. It can also serve as an area for treatment. The entry lock of this chamber is fit with large 36″ circular doors and provides seating for 2 people. 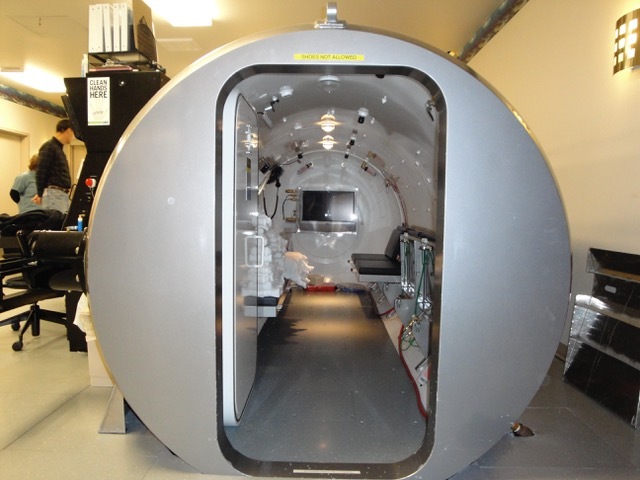 It contains both communication systems and color video patient cameras, as well as built in breathing systems. Included with this chamber is a state of the art control console. 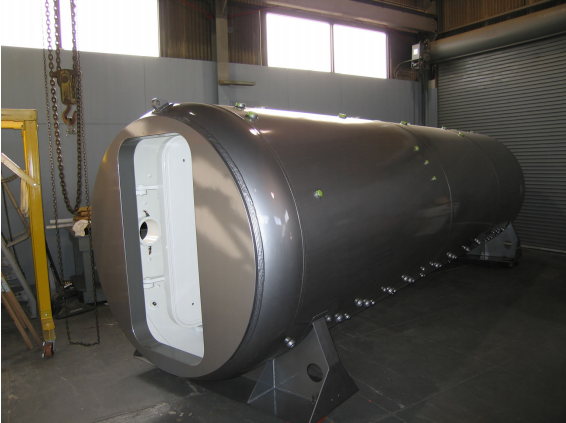 The chamber goes to a pressure of 6 ATA and it is from the control console that the chamber is pressurized and depressurized. The control console also serves as a communication and monitoring system using the microphones and cameras built in the chamber. It features 2 high definition monitors to help ensure the safety of your patients, as well as handsets to allow for communication to the inside of the chamber. 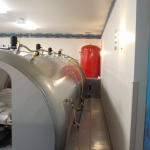 Included with the multiplace chamber is a medical grade air compressor system. 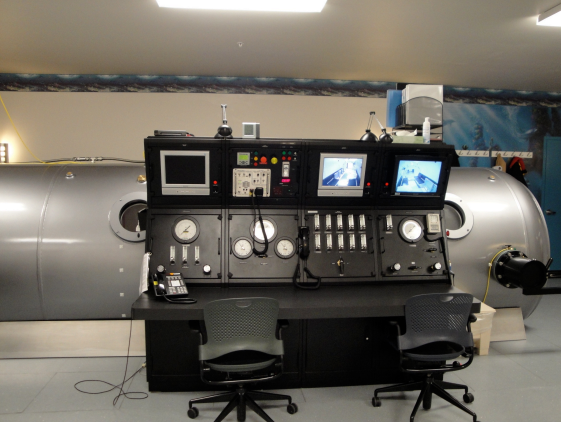 Through the use of this system, the chamber is pressurized. 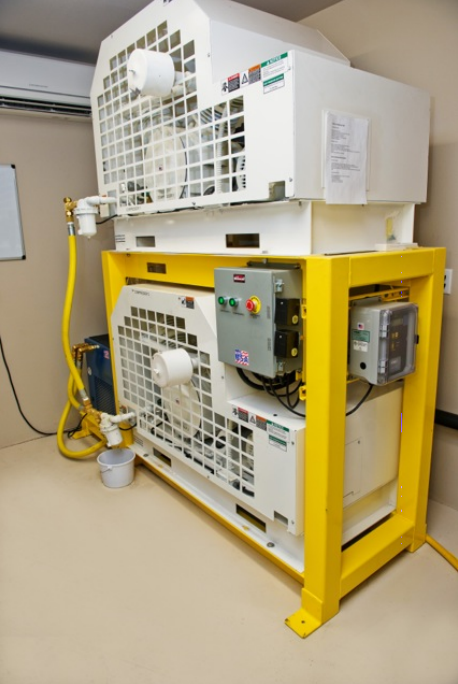 The system consists of two independent air compressors. In the case of a fire, included with this chamber is an extensive fire suppression system. A fire hose is located inside the chamber that can be used by an attendant to manually extinguish any flames. The chamber is also equipped with a deluge system which can be activated by the inside attendant, the outside attendant, or by an automatic fire detection system. When activated, the deluge system releases large sprays of water that saturate every surface in the chamber and quickly extinguish any flames. 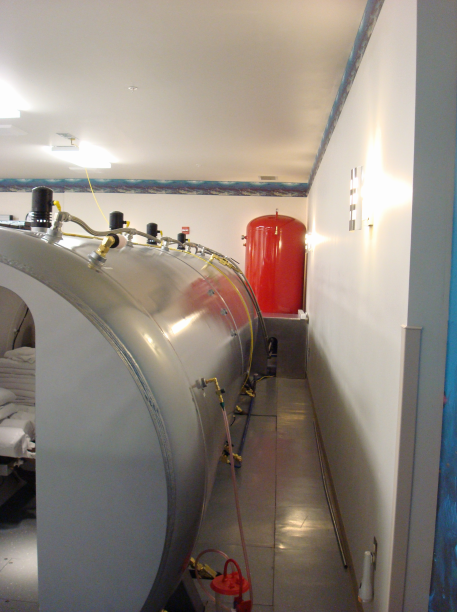 There has never been a fire-related fatality in a patient treatment chamber in North America, and the strict adherence to these precautions will help to continue this excellent safety record. Maintenance Manuals supplied with the systems.